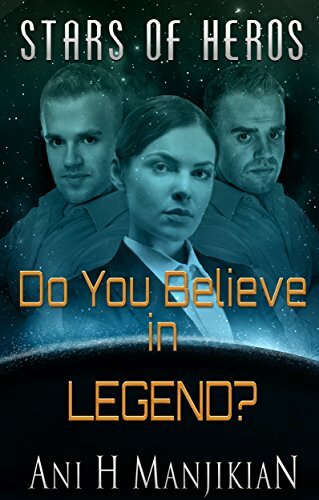 Do you believe in legend? Jo Mason believes that creativity, spontaneity, and faith exist as definable words, but not actionable items. Negative consequences always follow the rare positive outcomes. It seems her destiny is surviving a chaotic world she can’t control. Hearing her own voice where she shouldn’t have leaves her wondering about her place in time. Jeff has always been a part of her life, offering encouragements, wise words when she needed them, and many other things she can never completely thank him for. She knows he replaced her cousin who died saving his life. When she questions why he didn’t get to stay with his family, Jeff replies that without fixing the timeline everything she knows would be different. When Jeff’s twin brother Randy falls into her lap, both literally and figuratively, Jo hopes he can give her a better answer. There is only one slight problem… He doesn’t remember anything about himself or his life and what he does, doesn’t help. Together, the three of them learn that life isn’t about who or what you know, but who and what you care for. From a harsh diagnosis of hydrocephalus at birth, Ani has developed into all-around person with the technical knowledge and analytical mind of a programmer, creative and detailed orientation of a writer, and aesthetic instincts of a photographer. Her writing career started when a friend in Cyprus made her promise to stop throwing away her writings because she thought they weren’t good enough. This entry was posted in arts&crafts, read and tagged arts&crafts, fantasy, read, science fiction. Bookmark the permalink.